I open the car door outside the Tsangarides Winery and savour the fresh February village air of Lemona, this small hamlet in the Troodos foothills. 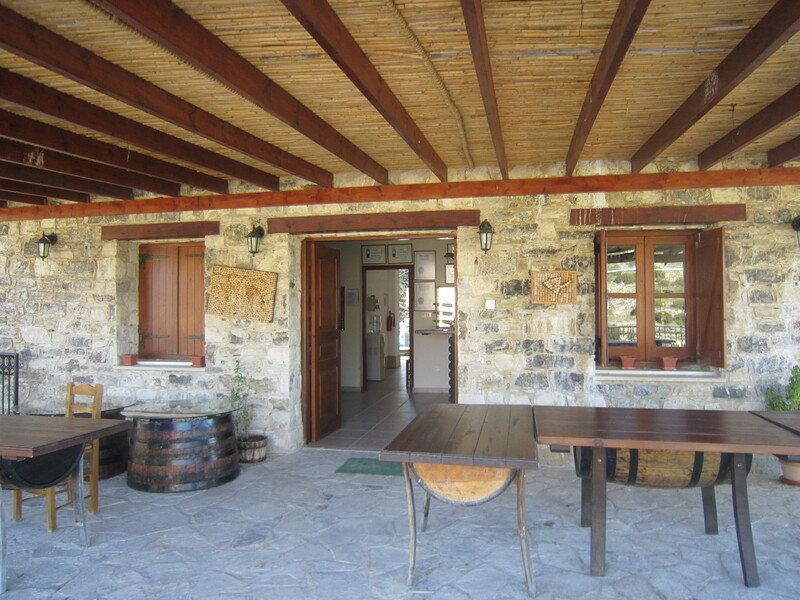 It’s been a year since our last visit and we’re looking forward to renewing our acquaintance with Angelos Tsangarides, co-proprietor with his sister of the winery. We are introduced to Angelos’s father who is also at the winery this day. 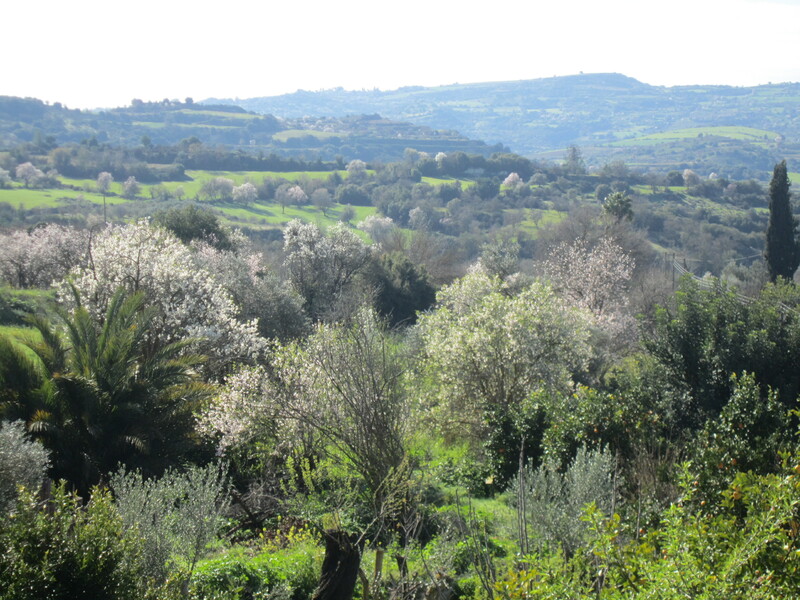 We follow Angelos upstairs to a large tasting room overlooking almond and clementine trees. Today the room is warmed by a wood burning stove, necessary on this chilly morning. Over a Cyprus coffee, metrios style, like a medium sweet thick expresso served with a glass of water on the side, we chat about wine, wine making, local grape varieties, tourism and developments at Tsangarides. Over the past year, Angelos has been consolidating winery activities, investing in new equipment and restructuring operations by taking on the role of wine maker himself with the advice of a wine consultant. He is very much enjoying this development. 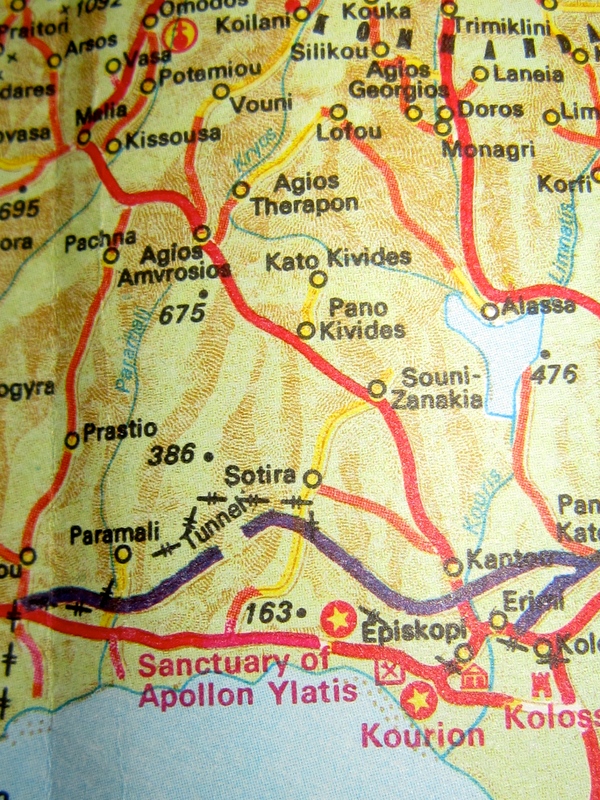 Angelos is a keen advocate of the local grape varieties, Xinisteri white grapes and Maratheftiko black grapes. He explains that Xinisteri is typically blended with a small percentage of either Sauvignon Blanc or Chardonnay. He favours Chardonnay in the blend. A new development is that Angelos is now producing a Muscat dessert wine. the bottling area. We buy some wine to enjoy over dinner with friends and he generously gives us a bottle of his Shiraz Rosé bottled this very day to taste. Angelos tells us that he woke really early this morning, excited about the prospect of bottling the 2015 Rosé. As he tells us this, his face lights up and he is smiling the smile of someone who loves what he is doing. He says that he is very happy that he made the switch from the strictly business world he was working in previously to work in the family winery, that he loves what he does and finds it rewarding and satisfying. As we say farewell to Angelos so he can get on with the rest of his busy day, he asks me to let him know what we think of these wines and we promise to share our wine tasting notes with him. Good colour and clean on the nose with some fruit/floral aromas. While young, a very drinkable smooth wine now. Soft tannins, some drying from the tannins but what one wants in this kind of wine, with complex black fruit and floral tones. It’s the tannins which provide the health enhancing characteristics of red wine apparently, so good to be aware of the tannins. One of our guests said that the wine would benefit from ageing – yes, undoubtedly but very drinkable and enjoyable now. Given the fairly high alc 14.5% VOL, I feel it has a freshness and lightness to it. Delicious taste with dark fruit with touch of peach and quite spicy. Almost has a bit of fizz /bubbly effect so a lighthearted wine but I could feel the heat of the wine. 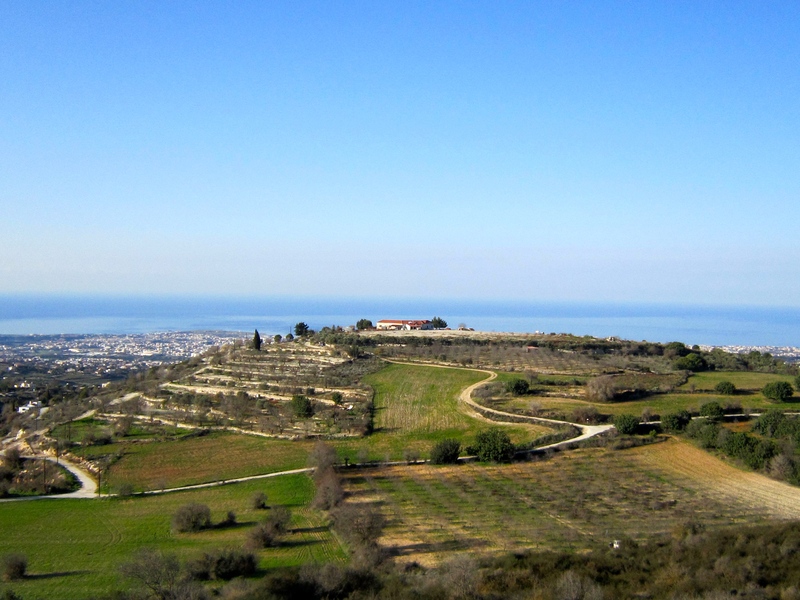 We subsequently enjoy lunch one day at Minthis Hills Golf Club and restaurant in the countryside above Paphos. We order a glass of Tsangarides Xinisteri each and it arrives in aviation bottles of 187 ml. which we really appreciate as this is preferable to having a glass poured from an already open bottle. I have written before supporting smaller bottle sizes as options for wine lovers so I really am pleased to see this Tsangarides offering. Angelos subsequently mentions to me that these aviation bottles of Xinisteri are extremely popular. In reflecting upon our visit to Angelos and his comments about the rewarding nature of his work, I wonder if this is the portrait of a happy man: working in a business alongside his family, in a beautiful rural setting, learning new skills, feeling he is making progress, being his own boss and doing something he loves, which is making wine. Sounds like Angelos Tsangarides – a fortunate man. Minthis Hills Golf Club. www.minthishills.com. Christmas Cake is one of those classic symbols of the Christmas Season for me. So when I eat my last piece of celebratory cake each year, I know the Christmas holidays are truly over for another 12 months. A week ago, we enjoy one of the best Christmas cakes I have tasted for some time: moist with home made marzipan and icing that is gentle on our teeth. And, to really put icing on the cake, we are sitting outside in a sunny sheltered spot in Cyprus sipping a Symington Warre’s 2000 Port. This is a perfect pairing: the rich, moist fruitcake and the almonds in the marzipan complementing the rich, dark fruit complexity of the Port. If my Mother was still alive, she would savour every taste, sip and sunshine moment of this experience; enjoying nothing better than a late morning coffee with either a brandy or something similar while watching the world go by. 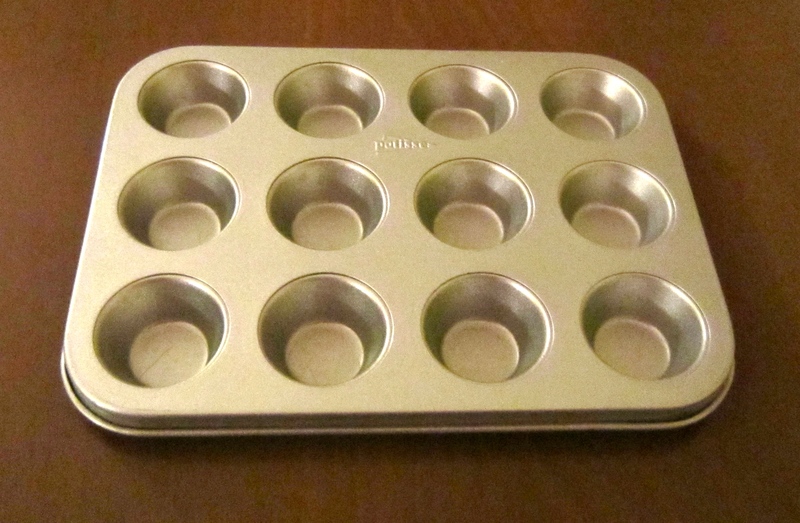 In her nineties, these were pleasures that endured. The role of British families in the Port trade has a long history. Warre’s was founded in 1670 and was the first British Port Company established in Portugal. The Symington family has been established in Portugal for over 350 years and 13 generations. Andrew Symington became a partner in Warre’s in 1905 and the Symington Family is the owner and manager of Warre’s today. The Warre history is worth reading on their website noted below. Working backwards to New Year’s Eve, we enjoy another first tasting: a 2007 Klein Constantia. This is a natural sweet late harvest wine from Stellenbosch in South Africa. The dark amber, marmalade and honeyed wine with a medicinal edge and, as our wine connoisseur friend said, an acidic spine, is served with either Summer Pudding – that most delicious of English puddings – or profiteroles with chocolate sauce. We linger over each sip and mouthful to take in the full experience of wine and pudding flavours together. The Klein Constantia Vin de Constance, made from Muscat de Frontignan grapes, was revived in 1986. With a pre-phylloxera pedigree, it was famous in earlier centuries. Charles Dickens wrote glowingly about the wine referring to: “…the support embodied in a glass of Constantia”. The Klein Constantia land was originally part of “Constantia”, a vast property established in 1685 – about the same time the Warre’s were establishing their Port business in Portugal – by Simon van der Stel, the first Governor of the Cape. It is an unexpected pleasure to taste this unusual wine that is reminiscent of but completely different to the late harvest wines we are familiar with in France: Sauternes; Monbazillac and Saussignac from the Bergerac Wine Region and the Muscat de Frontignan wine we have enjoyed on visits to Sète in the Languedoc-Roussillon region. Other “wine ghosts” from this past season are two wines from Cyprus. The Tsangarides Xinisteri white which is one of my all time favourite white wines because of its adaptability; great on its own or with a variety of foods, and the Tsangarides Mataro red wine which decants well and opens up to a smooth and velvety yet light and fresh wine. Xinisteri is a local Cyprus grape. Mataro is grown locally and elsewhere in the world where it is known also as Mourvèdre. 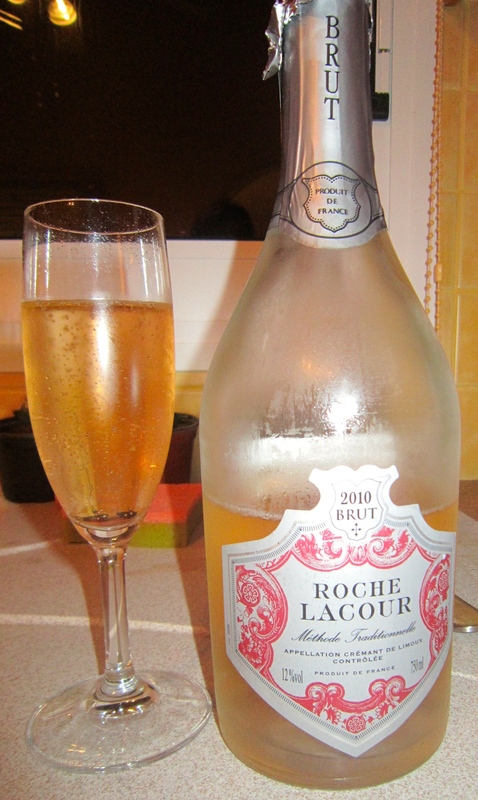 The final “wine ghost” is another favourite I have written about before: Roche LaCour Cremant de Limoux Brut Rose sparkling wine from Languedoc -Roussillon. A pale, delicate, refreshing sparkling wine. We enjoy this in a once -a -year Christmas cocktail. The idea of a Christmas cocktail is a time honoured one. In Charles Dickens’ famous novel, A Christmas Carol, Ebenezer Scrooge tells his clerk, Bob Cratchit that they would talk about his future and how Scrooge would help his family “…over a Christmas bowl of smoking bishop…”. Scrooge’s ‘smoking bishop’ was in fact a sweet alcoholic punch. We enjoy our version of such a drink with an assortment of canapés, including a cheese soufflé, which I make into individual servings. Using an online recipe from Epicurious, I recommend it as the best cheese soufflé recipe I have made so far and it holds up well to being made in small portions. When Charles Dickens died in 1870, he left a considerable cellar, evidence of his enjoyment of drinking in moderation, like many Victorians. The question is: Would Charles Dickens have enjoyed our Wine Ghosts of Christmas Past? I think the answer has to be: Yes. The wine is poured and we are ready to taste the Tsangarides Shiraz and Maretheftiko Rose. At the end of our recent visit to the winery, Angelos Tsangarides, Managing Director and Co-Owner asked us to try their latest rose. We gladly accepted the invitation as this is an interesting wine for two reasons. It is made with organic wine making processes and is a blend of Maretheftiko, a Cyprus indigenous grape with Shiraz, a well known international variety. Organic wine making and blending of indigenous and international grape varieties are two particular interests of this winery. 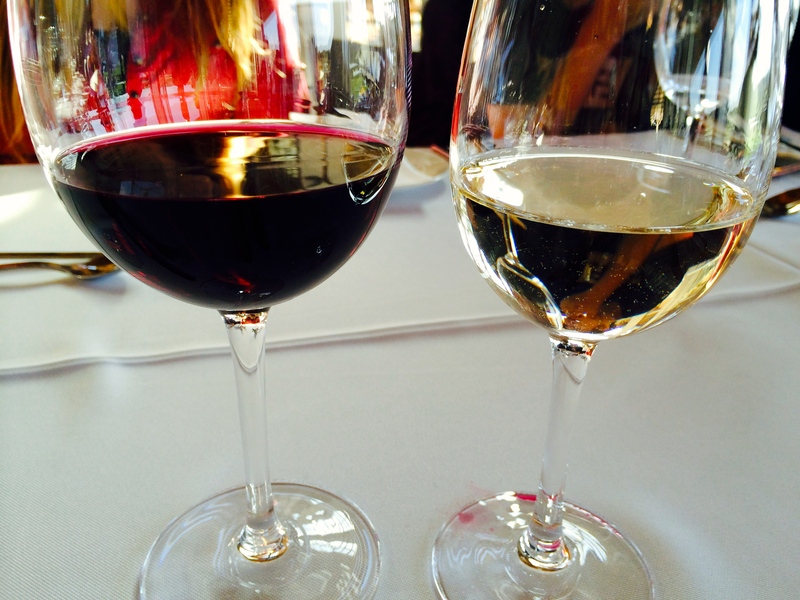 We decide to work our way through a systematic approach to tasting and consider colour, nose and palate. This rose is a clear, bright red. It’s clearly a youthful wine with fruit aromas and medium intensity on the nose. On the palate, this wine is medium dry on the sweetness continuum with low acidity. It is a balanced, smooth wine with other characteristics of body, intensity, length in the medium range. Flavours of strawberries and cherries with light vegetal overlays of green pepper are noted. 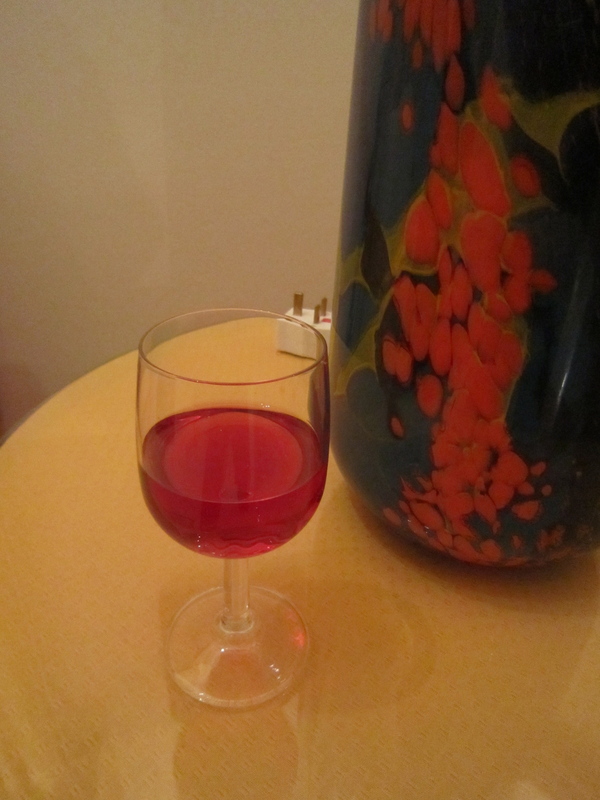 Our conclusion: a pleasant, easy to drink, balanced rose. Ready to enjoy now. A good accompaniment for appetizers or as an aperitif, served chilled. 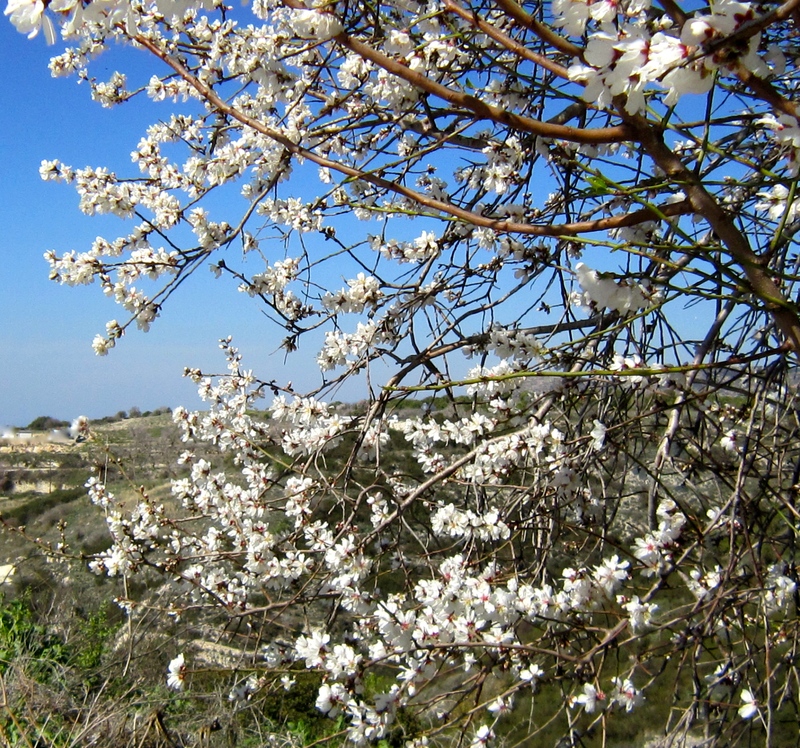 Wine experts claim that the black Maretheftiko vine has the greatest potential to produce quality wine among the indigeous varieties on the Island. They consider that it could produce wines with the structure of Cabernet Sauvignon. The challenge is that it is a difficult vine to grow commercially since it is one of the few non-hermaphrodite vines in the world and must be planted in vineyards of mixed varieties to ensure good pollination. At Tsangarides, they are experimenting with how to increase their Maretheftiko yield by trying different approaches to planting. Angelos mentions to us the growing interest in indigenous grape varieties among wine producers and consumers. A major project sponsored by one of the large Cyprus wine producers was conducted to research and identify traditional Cyprus varieties. Much work was conducted by the internationally known expert, French ampelographer, Dr. Pierre Galet from Montpelier. Ampelography is not a familiar term. It comes from the Greek ampelos for the vine and graphe for writing. It is the science of describing and identifying vine varieties using such characteristics as leaf shape and lengths and angles of the leaf veins as well as other elements. It is a field of botany that requires specialized training. This important study identified several indigenous Cyprus vine varieties, including Maretheftiko. 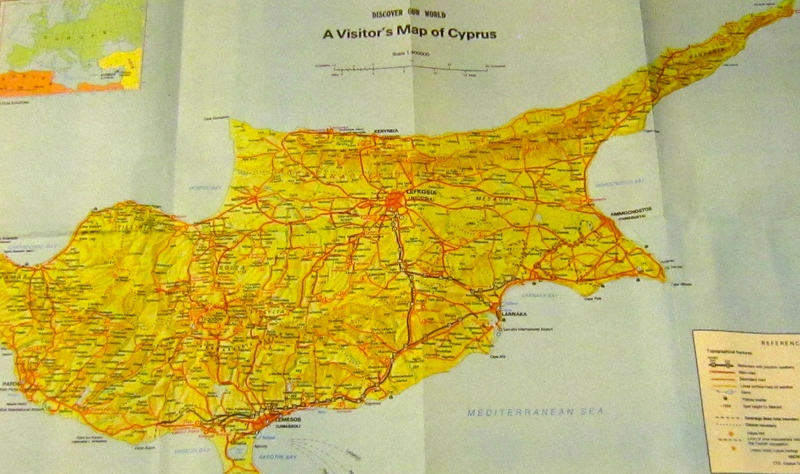 Wine writer Oz Clarke mentions Cyprus in his new book and in his summary of European wines writes: “Even Cyprus is waking up”. Faint praise yet encouraging recognition for the work and innovative practices of Cyprus wine makers. A slight breeze accompanied the rhythmic chatter of the wine bottling machine as we sat in the spring morning sunshine on the deck of the Tsangarides Winery. 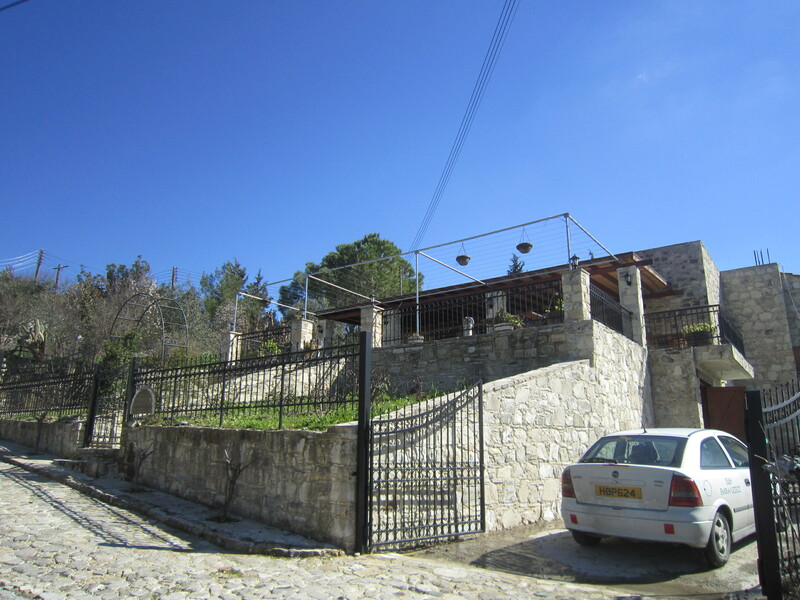 This family owned winery is in the village of Lemona at the south end of the Troodos Mountains and about half an hour from Paphos. Angelos Tsangarides offered us our favourite Cyprus coffee, Metrios with its usual glass of water, as we joined him to chat and catch up winery news. Over the past few years we’ve had the good fortune to meet Angelos and his sister Loukia who both run this boutique winery started by their great, great grandfather. We were introduced to them by a retired businessman friend who lives in the village. A few years ago he bought a couple of parcels of land with old Cabernet Sauvignon vines which are now being brought into production by the Tsangarides Winery. We have visited these parcels of vines situated in a silent sun drenched valley near the village. Since then, these rejuvenated vines have been joined by recently planted Xinisterii vines also being nurtured in the same way. On a previous visit with our friend, we had the opportunity to taste the Tsangarides suite of wines which were offered with a plate of local feta cheese on top of slices of cool cucumber, a delightfully fresh combination of flavours to cleanse the palate between tastings. The Xinisteri Dry White is a particlar favourite and it won a silver medal in the 2012 Cyprus wine competition. Xinisteri (sometimes spelt Ynisteri) is a local Cyprus grape which can produce mouth-wateringly crisp and fruity wine with hints of green apple, apricot and lemon. 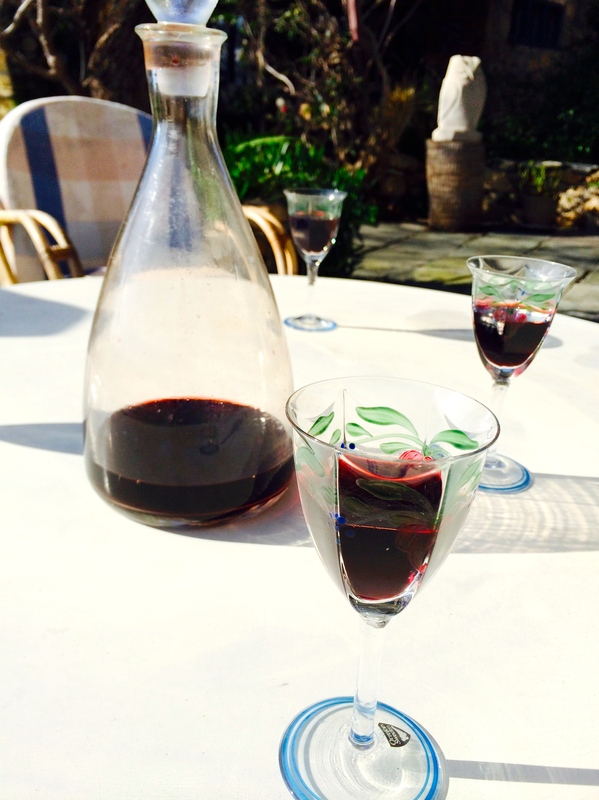 Agios Efrem, a red wine, is another favourite with a combination of berries, coffee and pepper aromas. This is a blend of Mataro, Cabernet Sauvignon and Shiraz. On this day, as we sip our Metrios, the conversation turns to the innovative approaches being taken by the Tsangarides winery. Their aim is to produce ever higher quality wines through modernization, greater efficiencies, certified organic wine making approaches and the use of ancient Cyprus local grapes with international grape varieties. 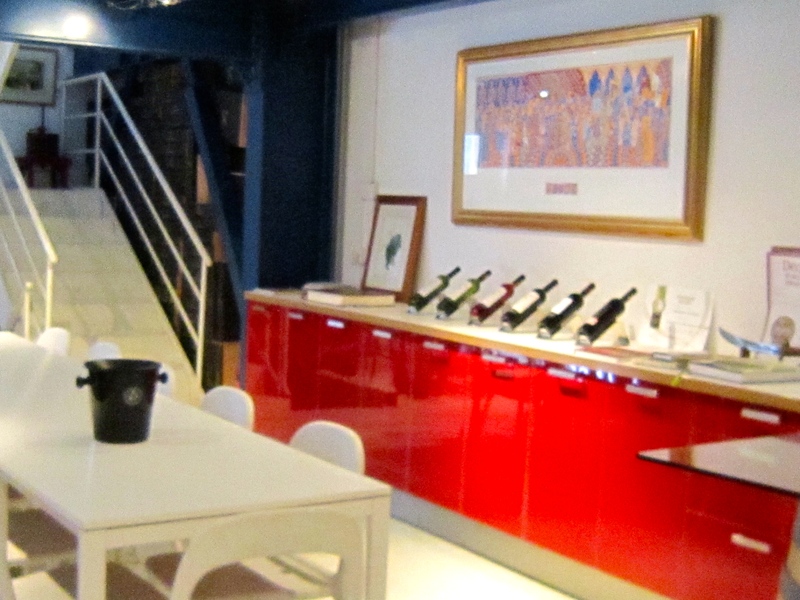 This integration of the winery legacy with new approaches is a particular interest of the Tsangarides family. These approaches seem to be the way forward in an increasingly competitive and global industry. 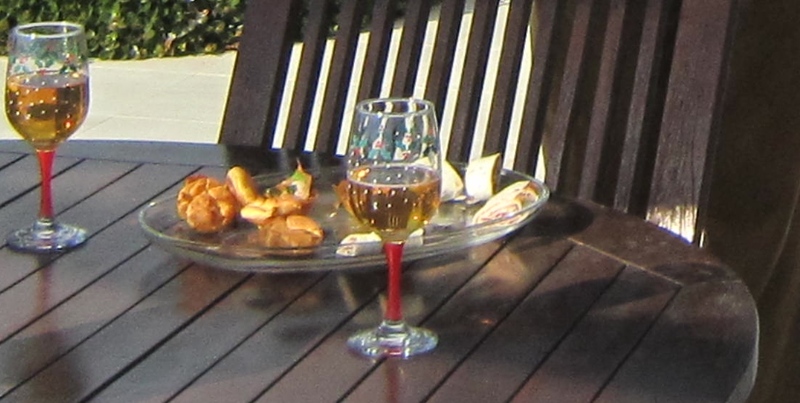 It feels invigorating to sit outside in the warm February sunshine taking in the sights and sounds of the village and the winery and hear the enthusiasm of Angelos as he talks about their business. We enjoy the view of palm and olive trees surrounding the winery with the Troodos mountains in the distance. 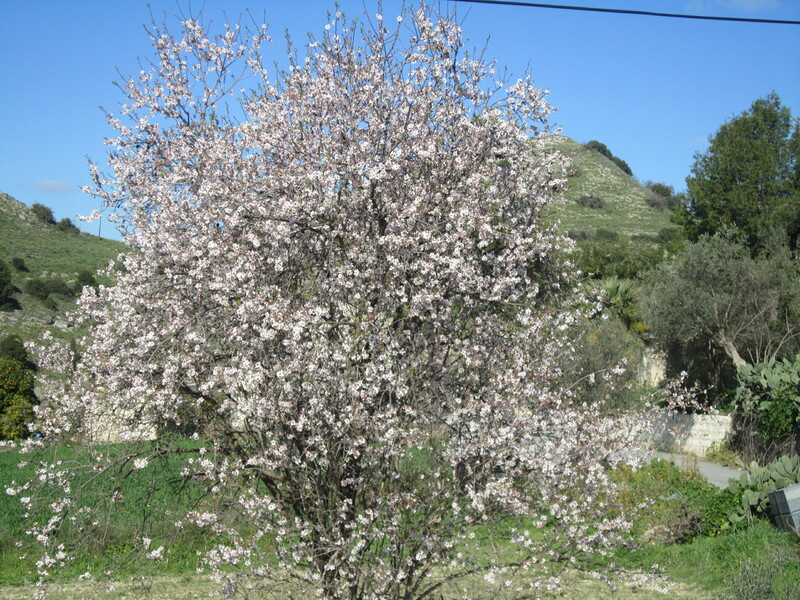 The almond tree opposite the entrance is in full pink splendour. 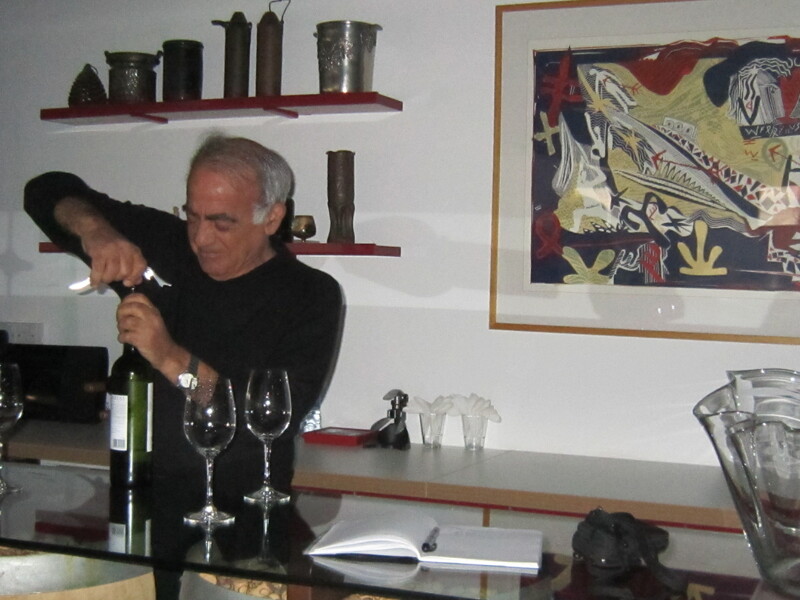 Our visit provided an interesting and enjoyable insight into contemporary wine making in Cyprus.